Previous post: Flashback: what was it like moving to the DTM in 1980? Twenty-two year old Hannah Deal says she began baking at the age of three, and that throughout her childhood the worst punishment that her parents could inflict was to ban her from the kitchen. 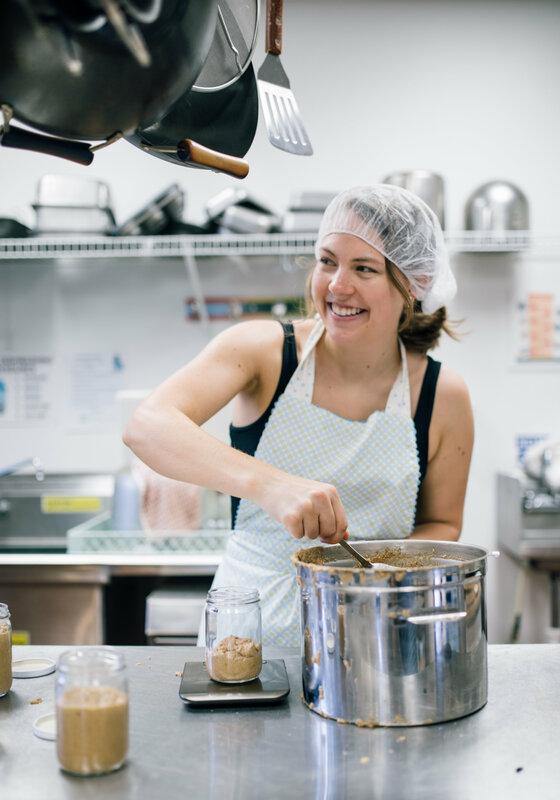 Later, at James Madison University, she says she dealt with stress by baking, and by her third year she had decided to turn her life-long habit into a career and go into the wedding cake business and eventually open a bakery. 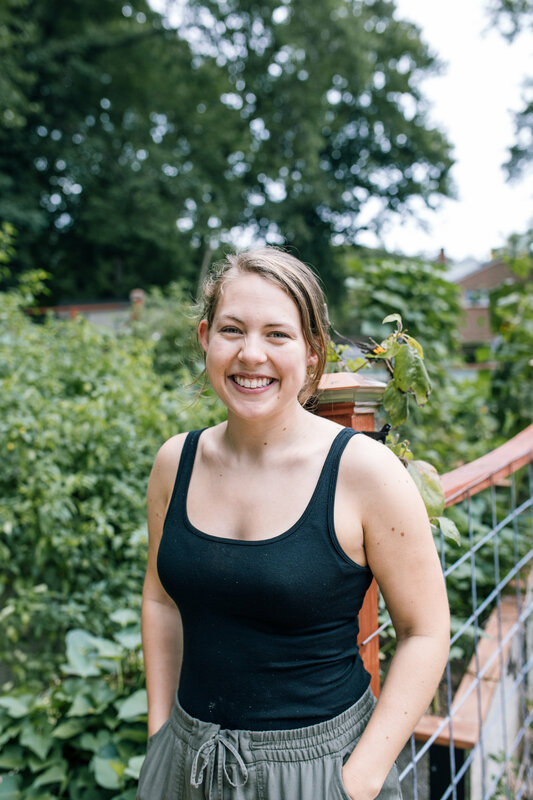 That experience led her to launch Hannah’s Homemade in June last year; an organic, gourmet nut and granola butter business catered towards people like her. 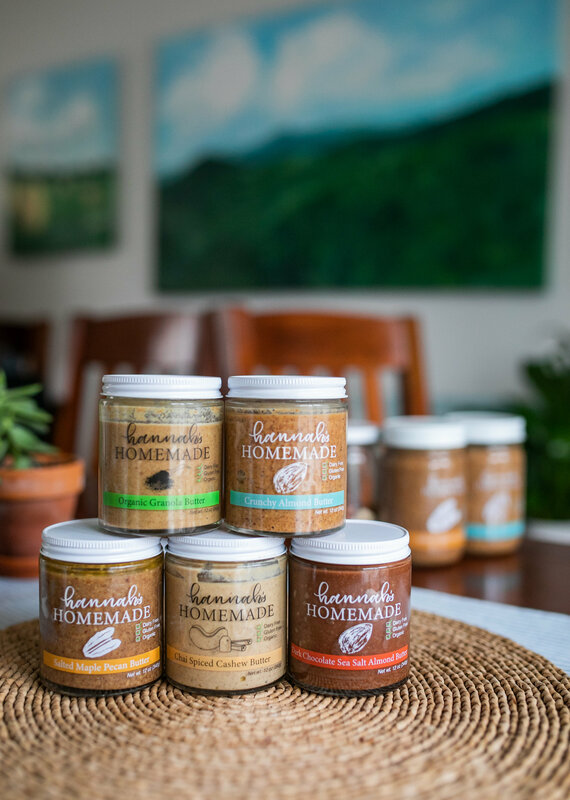 Her products have little to no sugar and are free from dairy, gluten, peanuts and soy. However, a month after launching her business Deal was diagnosed with Narcolepsy. You’ll find Deal this Saturday, April 6 at the City Market and every other week after that. 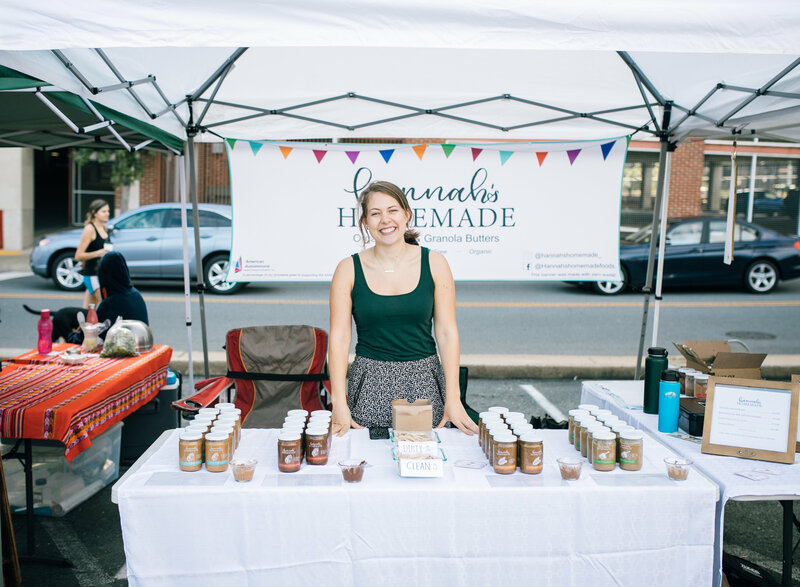 Her products are available at a few local Charlottesville stores and can be ordered online at www.hannahsbutters.com/.